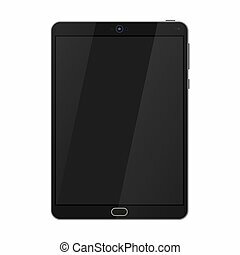 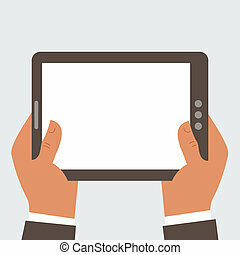 Businessman hand holding tablet pc with blank screen flat style. 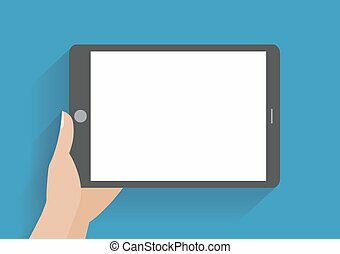 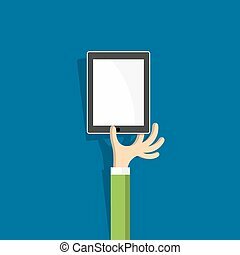 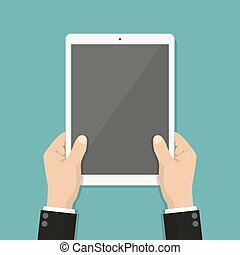 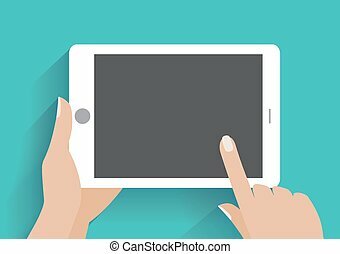 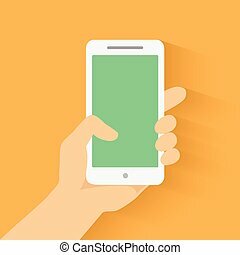 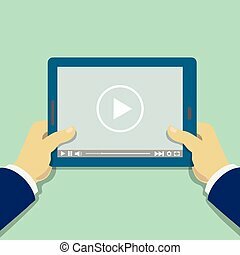 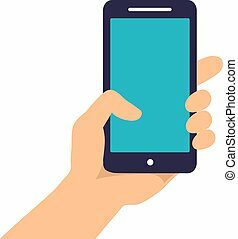 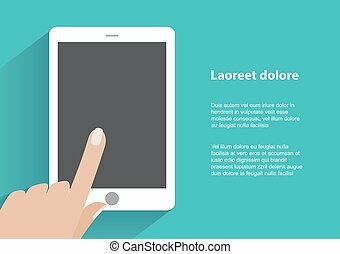 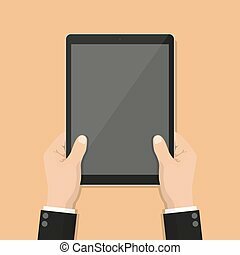 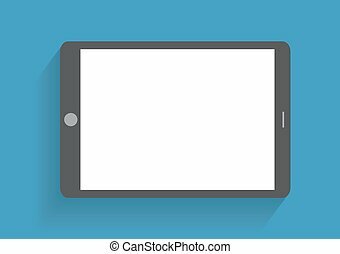 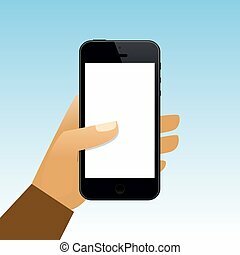 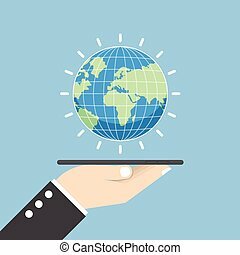 Businessman hand holding tablet pc with blank screen isoleted flat style vector. 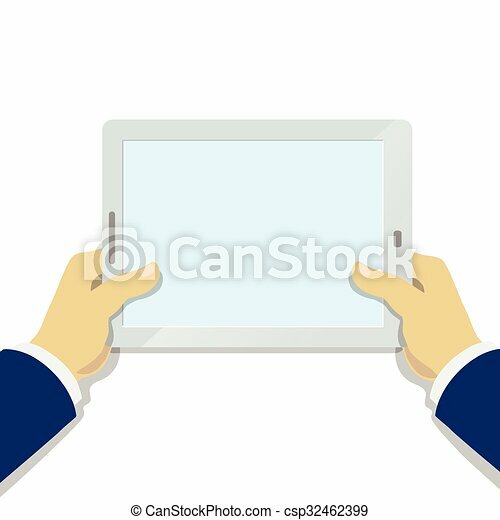 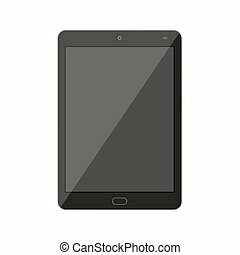 Tablet PC Vector illustration with blank screen. 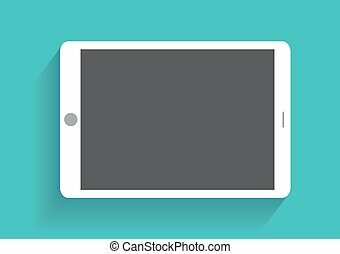 Color round icon in flat style, isolated on white background.